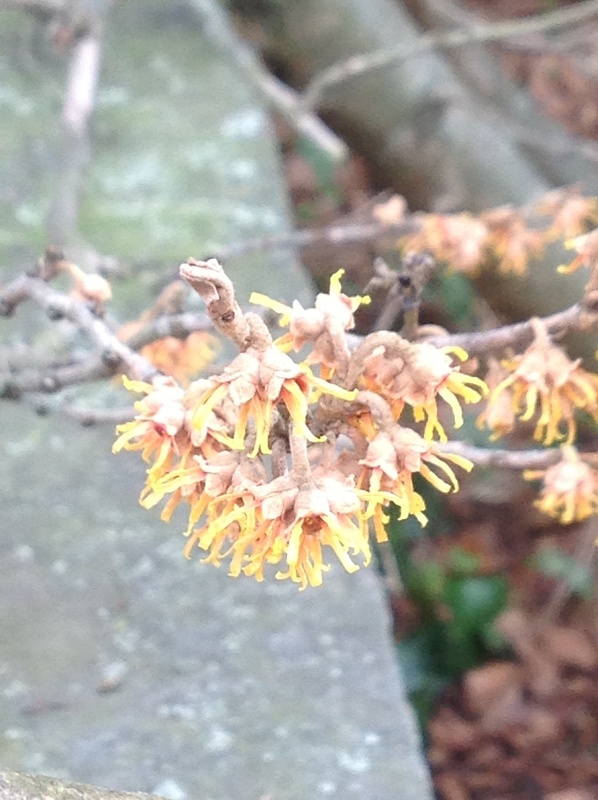 In the cold dark days of January, the scented flowers of witch hazel are utterly beguiling. 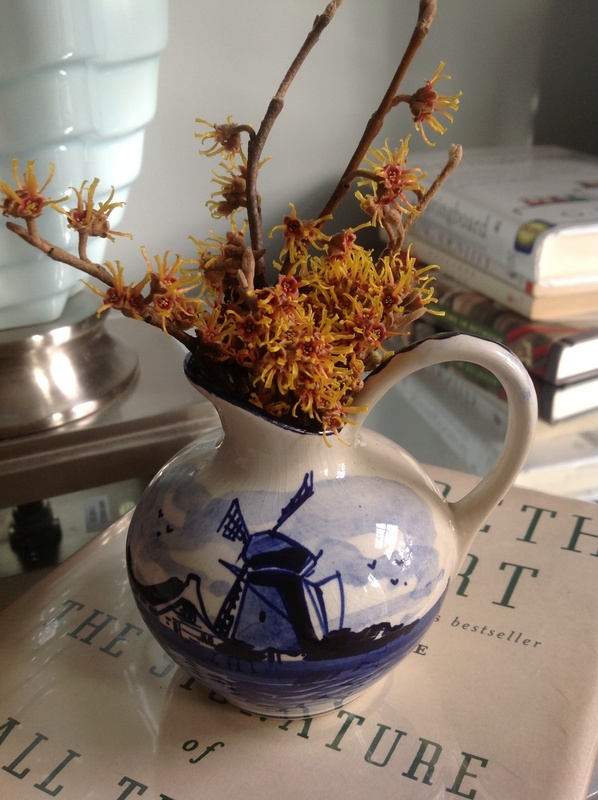 Starting mid month I eagerly gaze through the window, watching for a sign of the first bloom of my witch hazel trees. 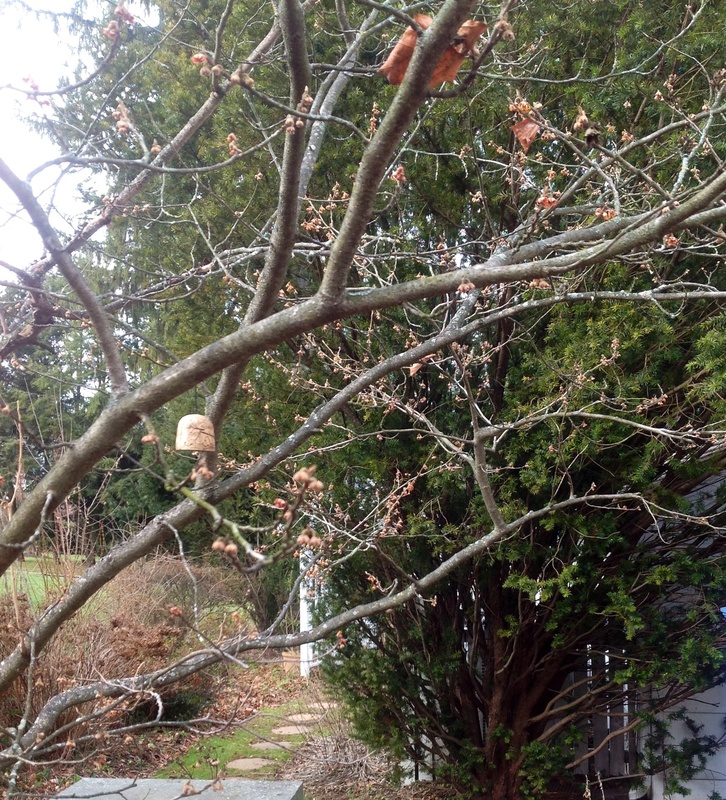 To my complete delight this year the tree shot out its firework-like flowers to herald in the New Year! Often called the Epiphany Tree because its blooms coincide with this religious celebration January 6th, its flowers are golden with a frankincense-like perfume. 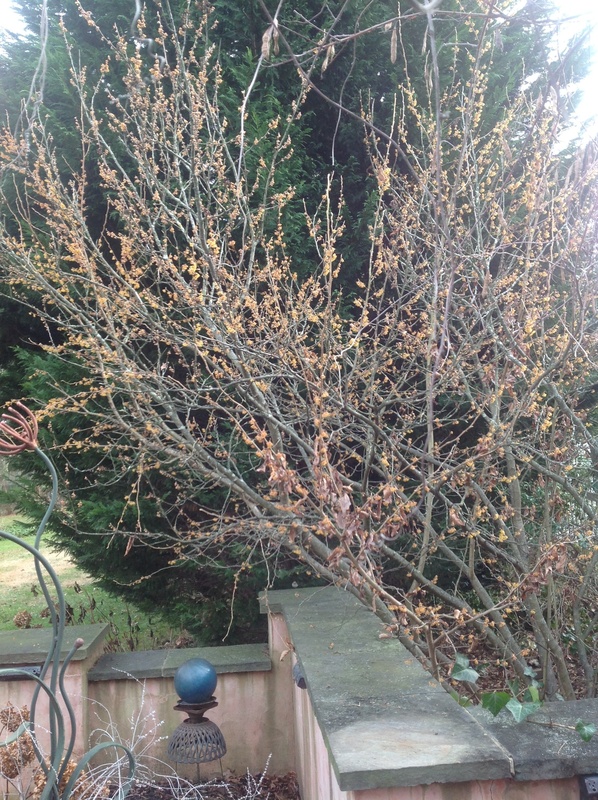 I have 2 witch hazels, Hamamelis vernalis, in my zone 6a garden. The southern exposure tree blooms first while its northern exposure sibling lags a month behind, ensuring a long supply of flowering branches to bring indoors. 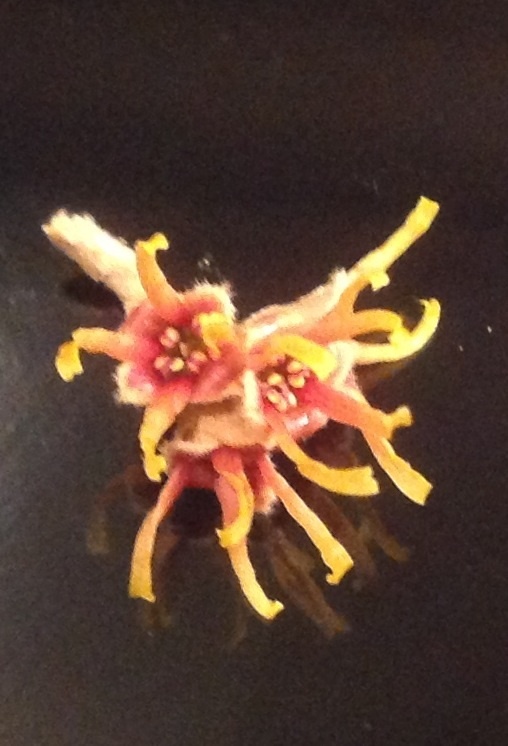 The spidery flowers of witch hazel appear on bare stems. The trees are easy to grow, disease resistant, require little care and reach 6 to 8 feet in height. They reward the gardener with spectacular flowers with a heavenly scent when nothing else is awake in the garden. Also called Winterbloom , I call them nature’s winter miracle. A basket of these cut branches greets visitors to our home with their jasmin-like scent. I secure these in moistened foam oasis. They will cheerfully welcome guests for many weeks, unfazed by the weather extremes of winter. The scent is released even more when the flowers warm up. Another small bouquet sits on my nightstand, a balm for the soul as I snuggle with a good book. 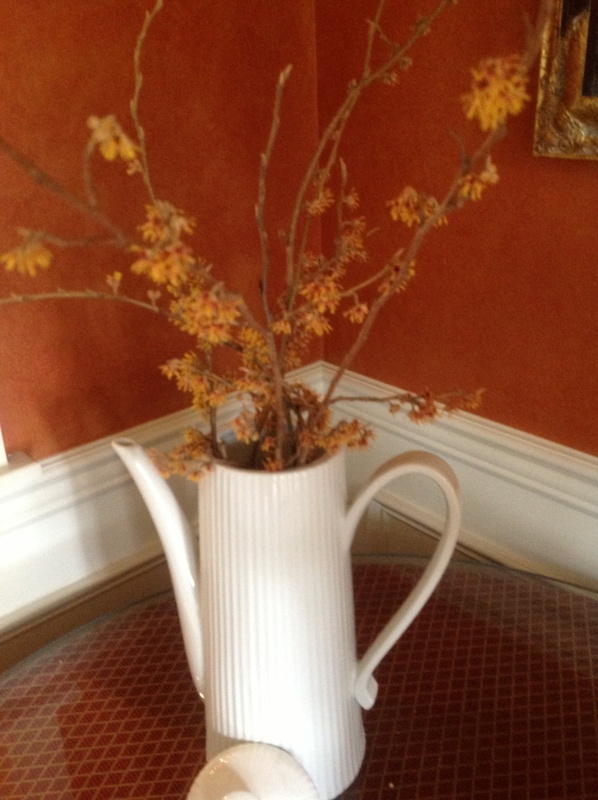 Another bunch emits their perfume in our dining room in a tea pot turned into a vase. 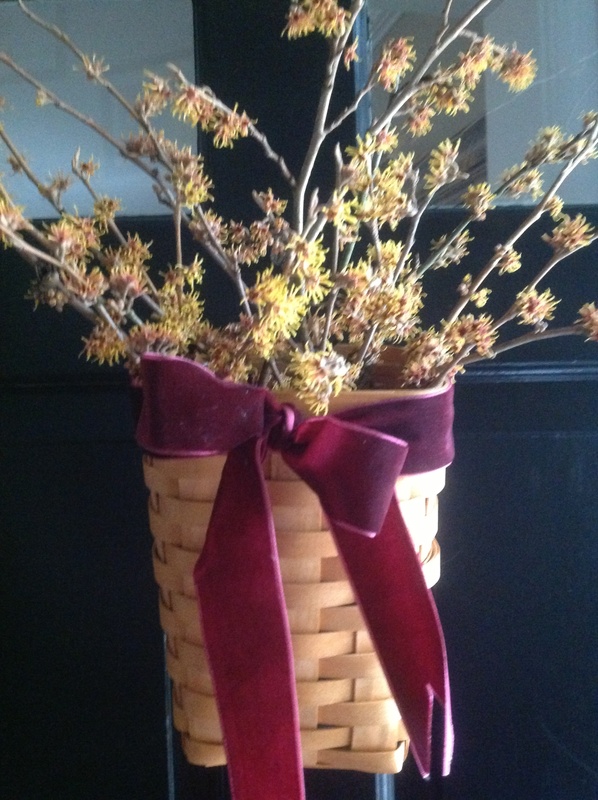 Fragrant bunches often find their way as gifts to brighten friends’ days throughout winter. The cut stems can be left to dry out and be enjoyed year round, although once dried, the scent will fade. 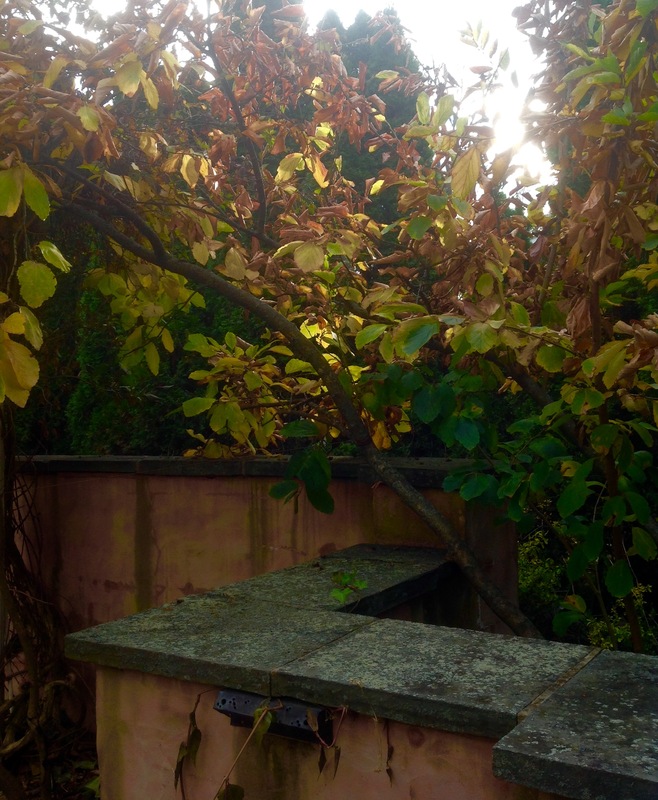 Witch hazel is terrific in the fall garden also with its foliage a bright gold. As you peruse nursery catalogs while armchair gardening this winter, think ahead to next January and consider planting your very own witch hazel come spring. Many varieties of witch hazel are available so check which type suits your gardening zone best. Before snowdrops or Lenten roses, its flowers will brave the cold and arrive first to brighten the drab monotony of winter and warm your gardener’s soul. 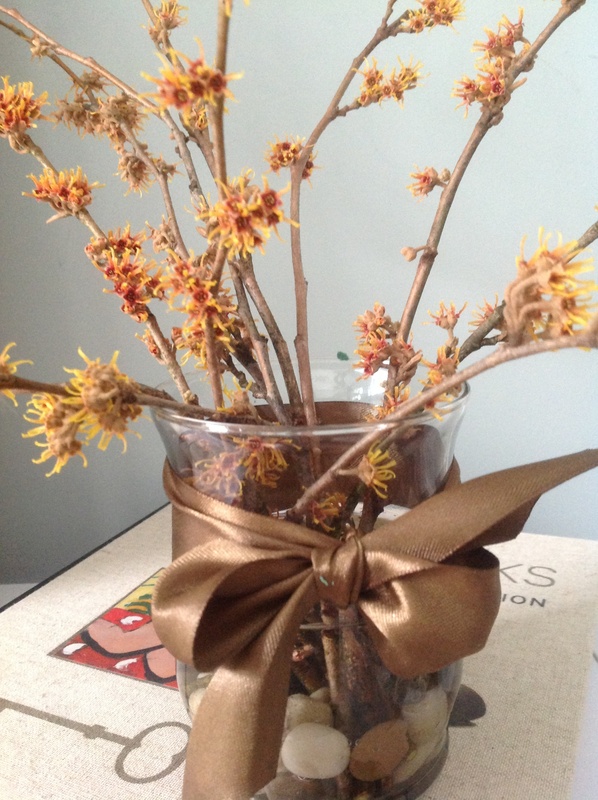 This entry was posted in Gardening and tagged epiphany tree, forcing flowering branches, fragrant cut branches, Gardening, hamamelis, winter flowering tree, winterbloom, Witch hazel by Johanne Lamarche. Bookmark the permalink. Thank you for your support, Lynne! Happy New Year too! Where do you purchase those wonderful bulb plants from Holland? I must get some. I am not a business. Thank you, Lynne. 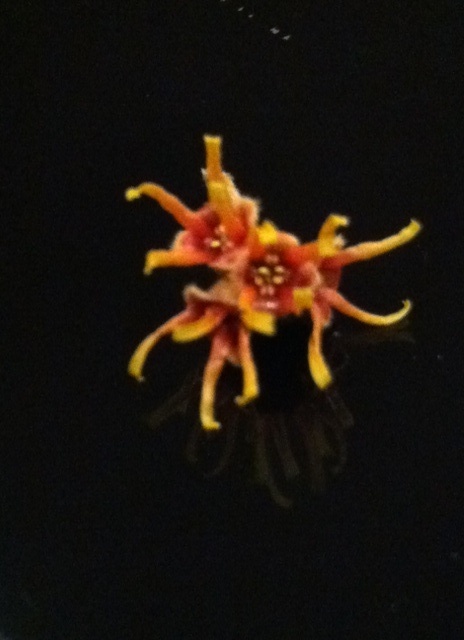 So glad you enjoyed the witchhazel! Thank you for stopping by Celeste.